More doorways on a Thursday. 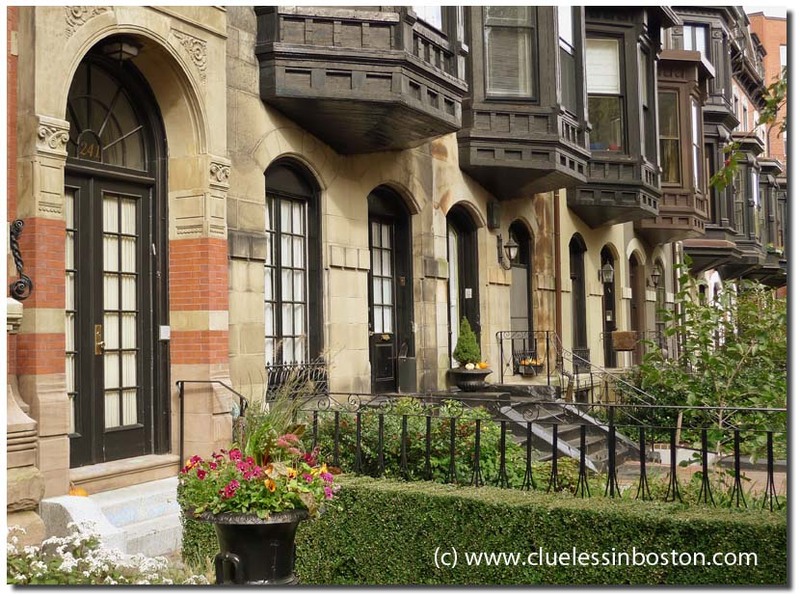 Strong shot; I was fascinated by the windows sheathed in copper in the old part of Boston when we were there. Oh, I love them, and the windows are gorgeous! I love, love this photo of the doorways! It must be fun to sit up in those bump-outs and enjoy the view! Nice doorways. And, I love bay windows like that. In fact, I'm enchanted by those windows! Amazing pictures, congratulations! The doorways are great, but those windows are fantastic! I would love to be sitting there in one of them drinking coffee and watching the world go by. Love the repeating pattern! Great eye. We need to remember to link this on Monday to «Louis's» Monday Doorways.